Slice orange rind into matchstick sized pieces. Put the rind and boiling water into a small casserole dish and microwave and high for three minutes. Remove pith and outside membrane using a very sharp knife. Take care to keep orange whole. Put orange into a dish that just holds it and cover with syrup and rind. 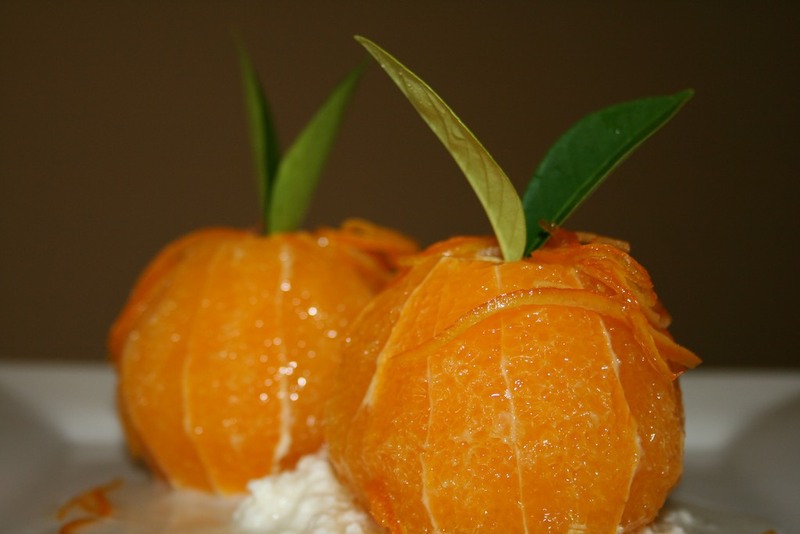 Serve glazed orange on a bed of ricotta topped with glazed rind and syrup.